College campuses have historically been the nurturing grounds of national or global movements. From civil rights movements to antiwar protests, colleges have helped to thrust ideas to the national spotlight. This is not just history, however, a new movement is gaining momentum on college campuses across the country: the Zero Waste Movement. Along with several other campuses throughout the United States, North Carolina State University is beginning our push to become a zero waste campus. North Carolina State University (NCSU) is located in Raleigh, North Carolina, and is home to a very large engineering school, agricultural school, and textile school. NCSU is the largest public university in North Carolina with close to 40,000 students. A campus this big obviously produces large amounts of waste. 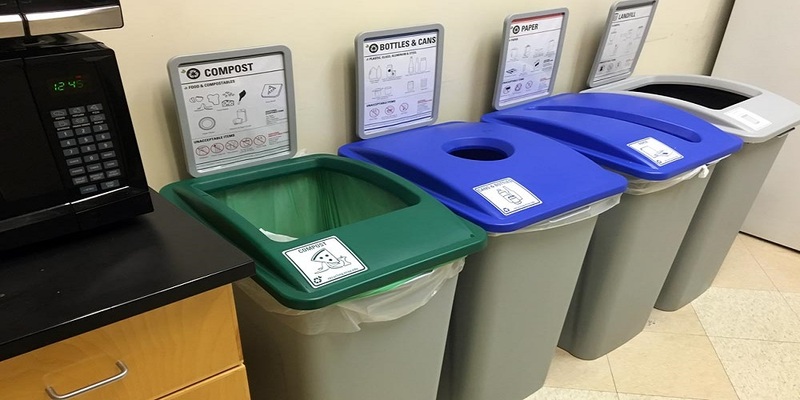 In 2015, NC State performed a Solid Waste Audit and determined that, by weight, 68.1% of the waste produced on campus was either recyclable, compostable, or had some other diversion potential. It was obvious that the school needed to take action. So, they did. In 2015, NC State University pledged to strive to become a zero waste campus and the results are easy to see. 49% of NC State’s waste was rerouted from landfills in the 2016 fiscal year. This was achieved through “defined strategies of source reduction, programs and creating a culture shift toward waste consciousness.” When walking through Talley Student Union, it is easy to find a recycling bin as every trash can is paired with one. Composting bins are also not hard to find, as they are positioned by each exit. Talley Student Union has also shifted to using compostable cups, lids, and straws and a central condiment station instead of individual packets. There are compost bins in bathrooms around campus for paper towels and NCSU even owns their own composting area and uses the compost for the agricultural school. Composting and recycling have the obvious effects of reducing the amounts of trash and potential pollution from the environment but there is also an underlying water quality aspect to composting. According to the US Composting Council, compost reduces the amount of irrigated water, reduces fertilizer usage and runoff, reduces the use of herbicide, and reduces soil erosion. I feel so strongly about the positive effects of composting that I plan on becoming a representative for the Office of Waste Reduction and Recycling on campus at some point in my college career. I have ideas for how NCSU could further improve their waste reduction techniques from having composting bins in the residence halls to changing the trash chutes around campus to recycling chutes. The important thing is that we are trying. All anyone can ask is that everyone try. Zero waste is not something that anyone can achieve in a day, week, or even a year. It may not ever be achieved. However, the fact that NC State is even attempting to reduce their waste is something that I take great pride in as a proud member of the Wolfpack. Editor's Note: Austin Dunlow is a student at NC State University and is an inaugural EarthEcho Water Challenge Ambassador, a group of young leaders working to engage their communities in water quality monitoring and conservation efforts while increasing their knowledge of water science and gaining skills to expand their work in this field. To learn how you can join Austin in taking action to prevent waste and protect waterways in your community, check out our EarthEcho Water Challenge resources.